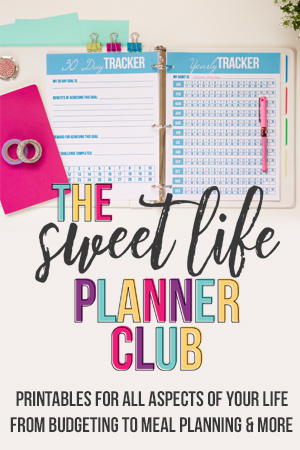 I love shopping, I love organizing, and I love saving money! 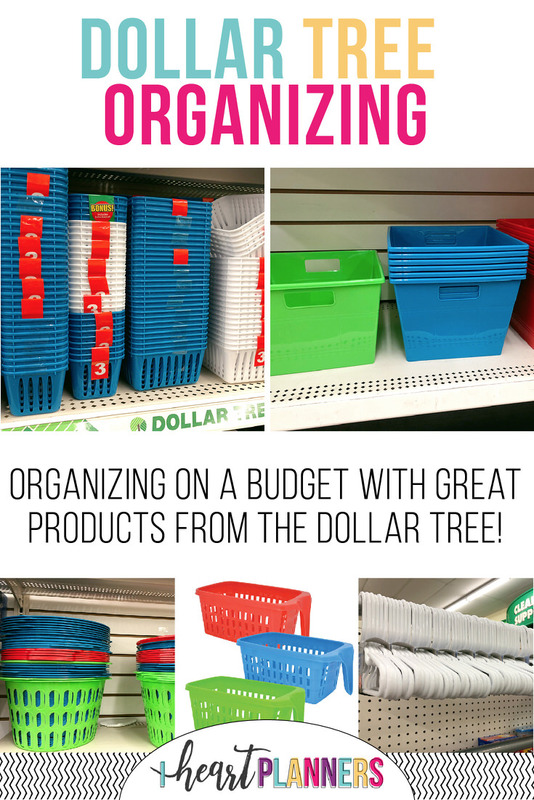 The Dollar Tree is the perfect place to do just that! They have so many great products for just $1! I find something new every time I make a trip to the store. If you want to watch a video of my shopping trip to Dollar Tree, click the image below! I love these! I have many of these in drawers throughout my house. You can use the different sizes to line them up in your drawers and keep everything super organized!! 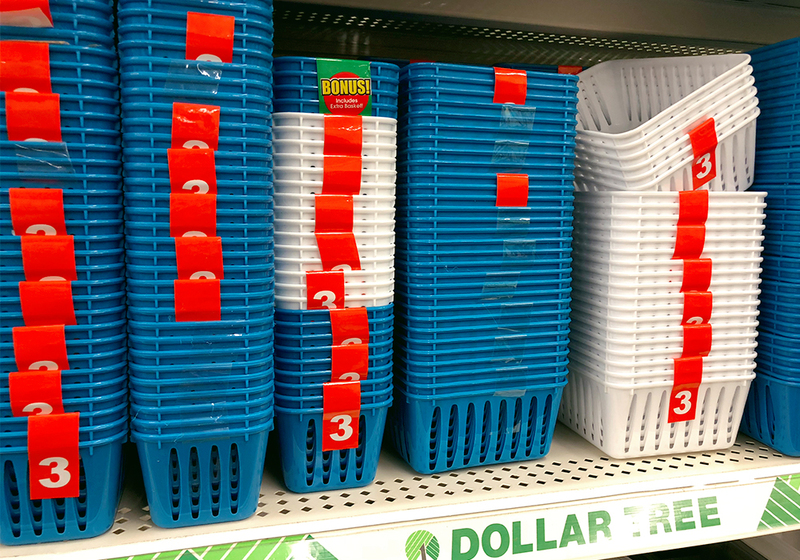 You can get a three-pack of the smallest bins for a $1!! 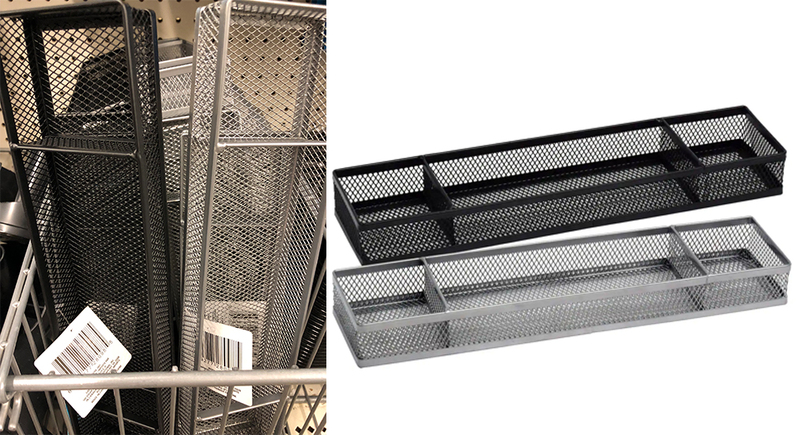 These are great for your office to store small items like pens or paper clips. 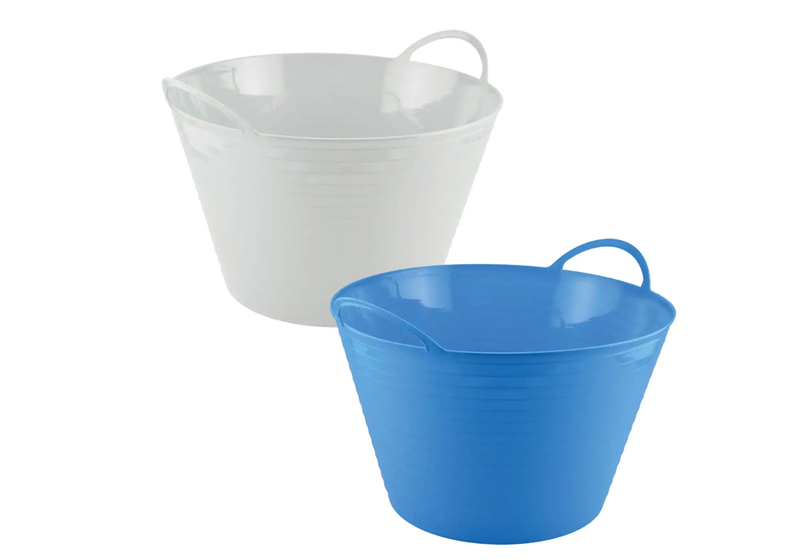 But, you could also use these in your vanity to store makeup or makeup brushes. It’s the perfect size for a drawer! I love this bin, because it’s really shallow and great for storing stuff in your office or desk. I use a couple of these in my office for paper storage. They are cute, bright, and functional! 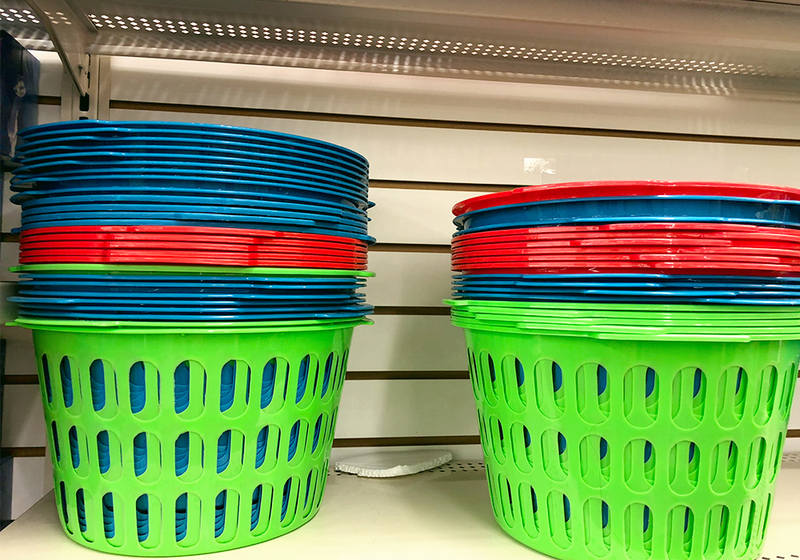 This is a great item for maximizing storage. You can easily hang them over your door. They don’t require any installation and you can store things like clothes, scarves or jewelry. 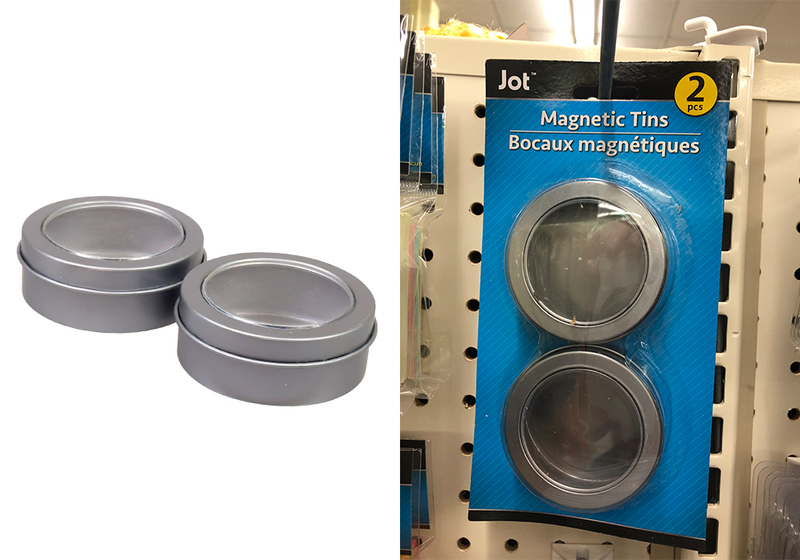 These magnetic tins are great for small items like paper clips or thumb-tacks. You could even put them on your fridge and store spices! One of the best ways to organize your closet is to have matching hangers. 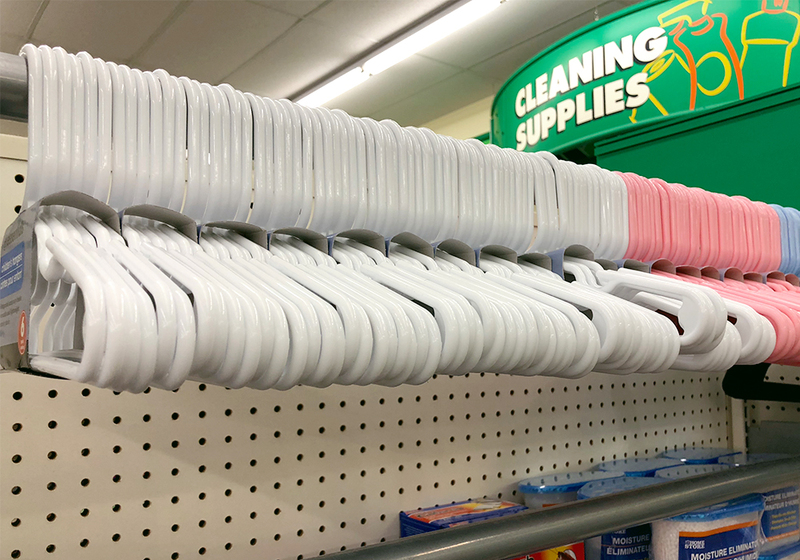 You can get a whole pack of hangers for just $1 at Dollar Tree! They even have a hook on each side for smaller items or straps! I buy all my hangers here! 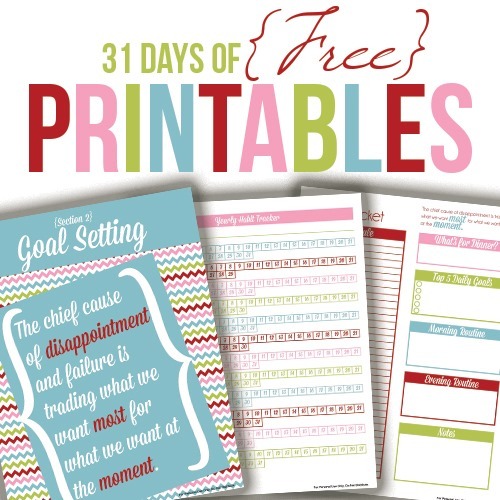 I love these because you can label the bin with a dry erase marker! That’s right, you can write directly on the bin. How smart is that? 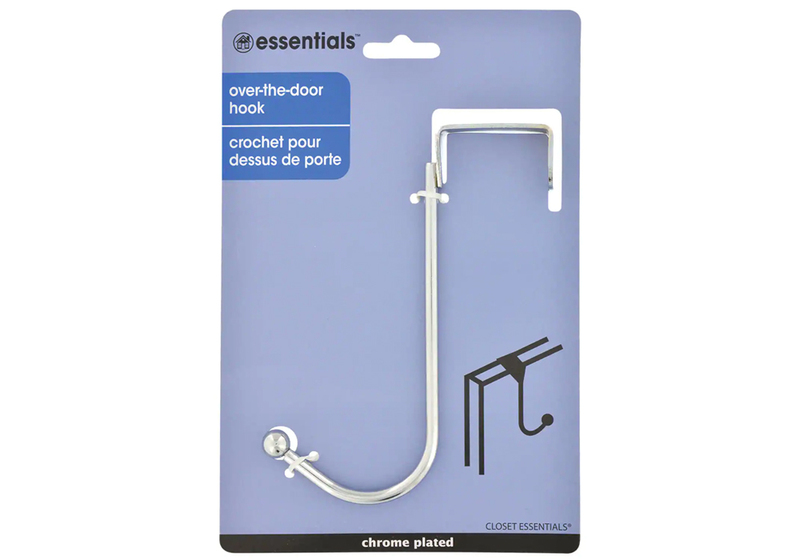 It’s great for labeling kids toys or even items in your pantry that might change over time. They come in a variety of bright colors too! I love using these for my kids in their bedroom. I have a couple of them in their closets. I used to just throw their onsies in here or anything I didn’t want to fold. Now that they are a bit older they can use these to grab their socks or shoes and their closet looks super organized! I love these bins for storage because they have this handle on the back. It makes it so easy to grab things from inside the basket. I use these in my laundry room. I store detergent pods in here and can easily grab them off the shelf when I need them! This is a great bin for organizing. 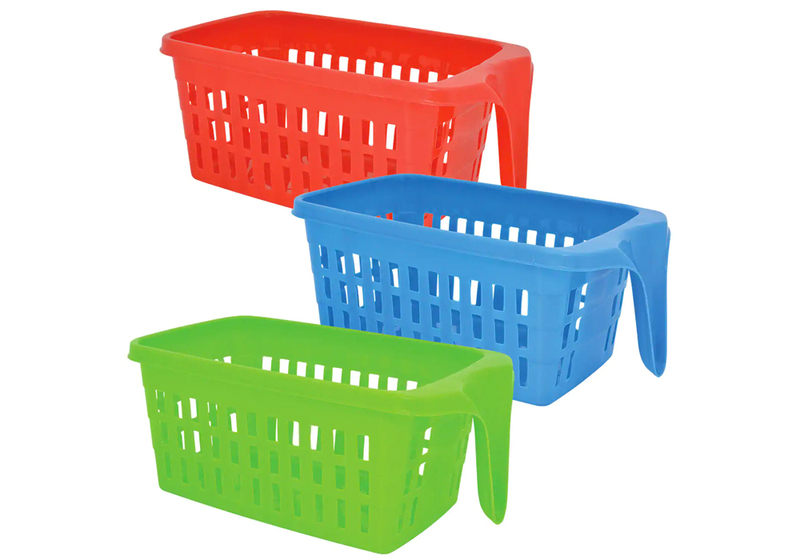 It’s super flexible but it comes with handles so you can carry the basket around as much as you need to. I recently used these for a party. 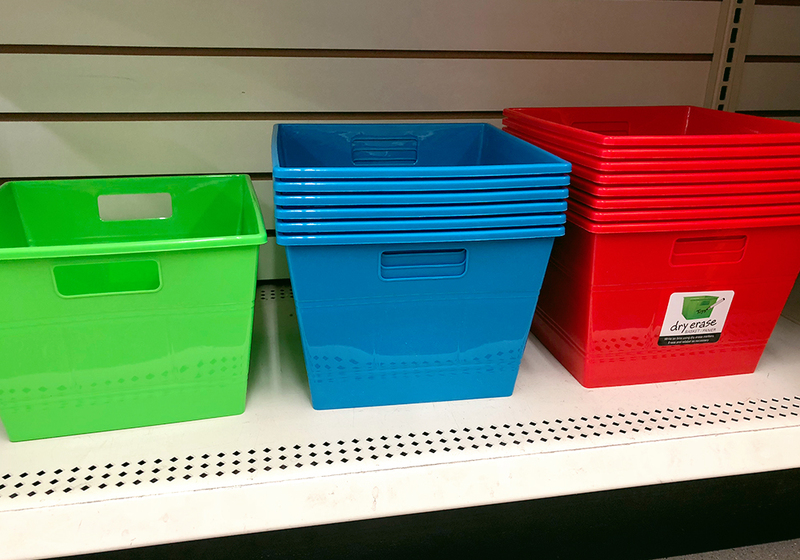 It’s a cute and colorful way to store supplies! It’s true…. 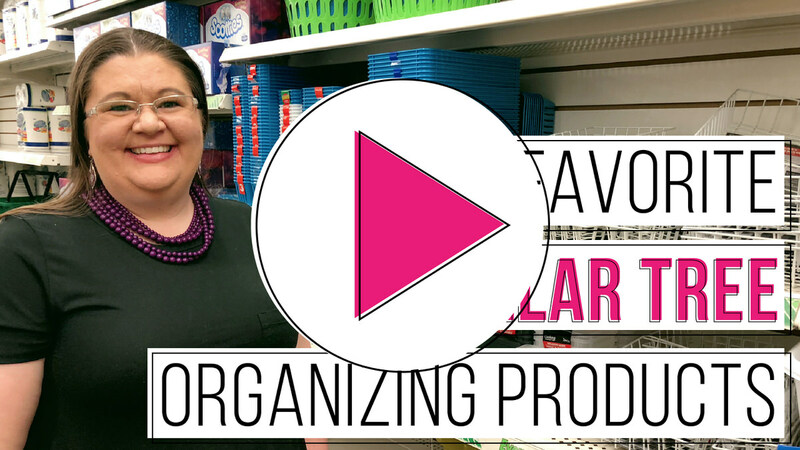 you can get organized without spending a lot of money! 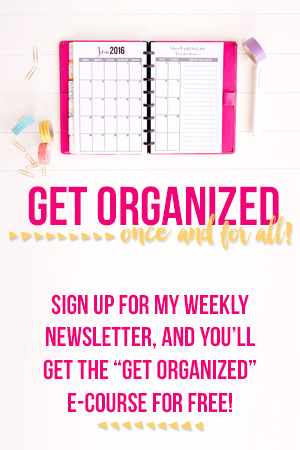 I hope this inspires you to get creative and organized! Happy shopping (and saving)!!! I love the Dollar Tree, been using it for years. They also have a variety of pens in colors and office stuff. Some of what you showed I haven’t seen in my DT but will look again soon. Still loving my planner!